Tesla Model 3s are expected to land in Europe early in the new year. To increase awareness of the Tesla proprietary supercharging network Elon Musk revealed via Twitter that Tesla is planning a Supercharger expansion that will cover “100 percent of Europe…From Ireland to Kiev, from Norway to Turkey,” he added, in response to a tweet that some parts of Ireland are badly in need of Superchargers. 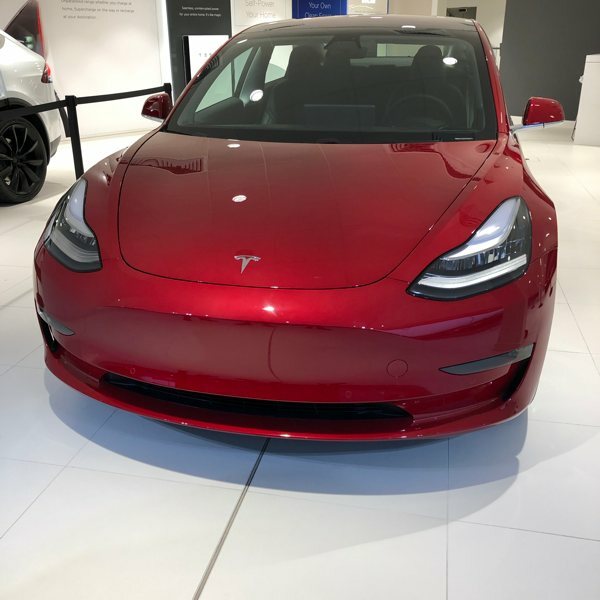 The automaker started preparing the Model 3 for European markets in November, displaying it in showrooms in various countries across the continent. That time, the company also said that the vehicle’s European version will come equipped with Combined Charging System (CCS) fast charging-compatible ports. 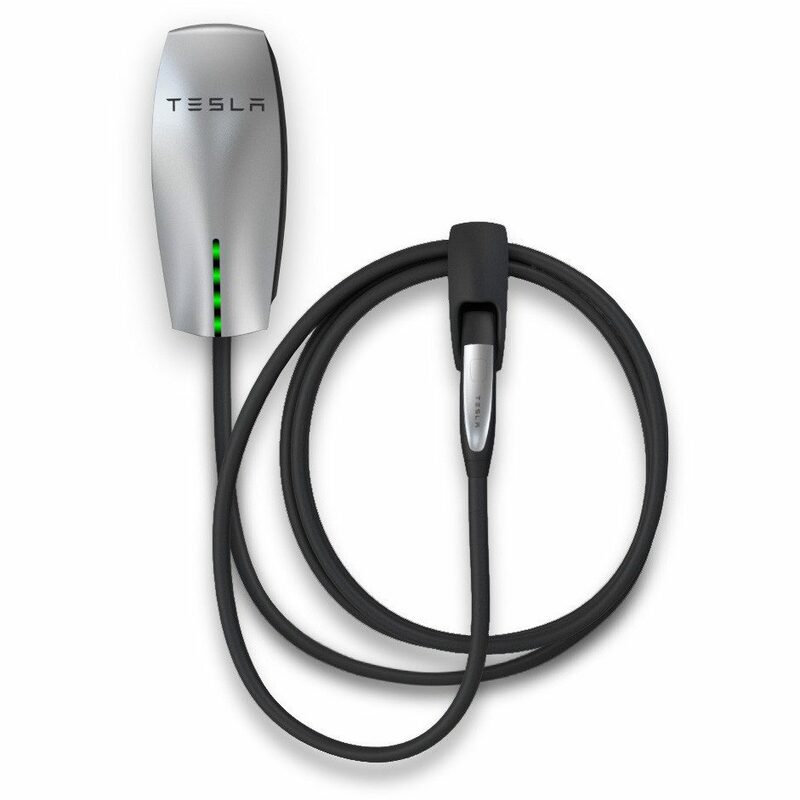 In addition, Tesla said it will upgrade its existing Superchargers in the continent with CCS plugs before Model 3 arrives. 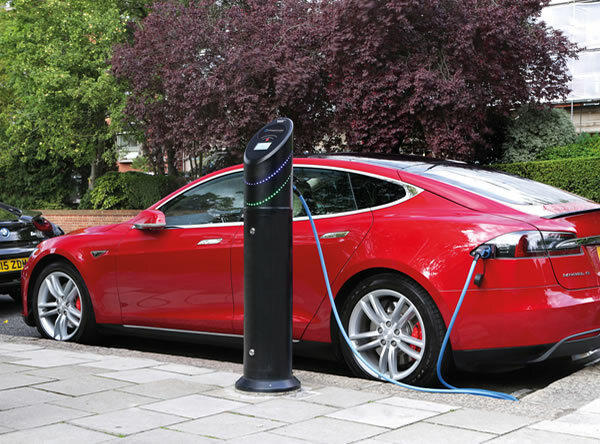 If the company plans to retrofit existing Superchargers with Combined Charging System (CCS) plugs, then the new installations might already come with them from the get-go. Since CCS technology is commonly used for EVs in Europe, people wondered whether Tesla intends to open up its network to other companies’ vehicles. Tesla’s head of global charging infrastructure, Drew Bennett, said the company has been talking to other automakers, but there are no concrete plans just yet. 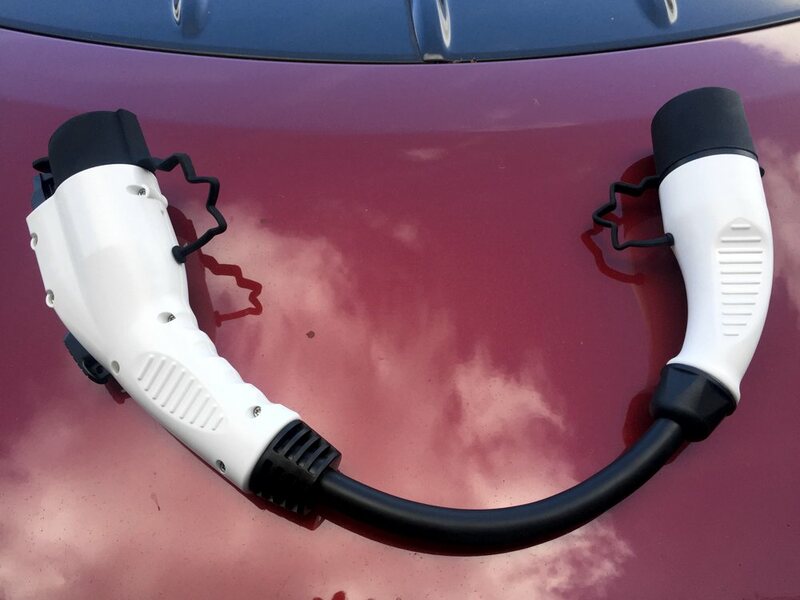 The Combined Charging System (CCS) covers charging electric vehicles using the Combo 1 and Combo 2 connectors at up to 80 or 350 kilowatts respectively. 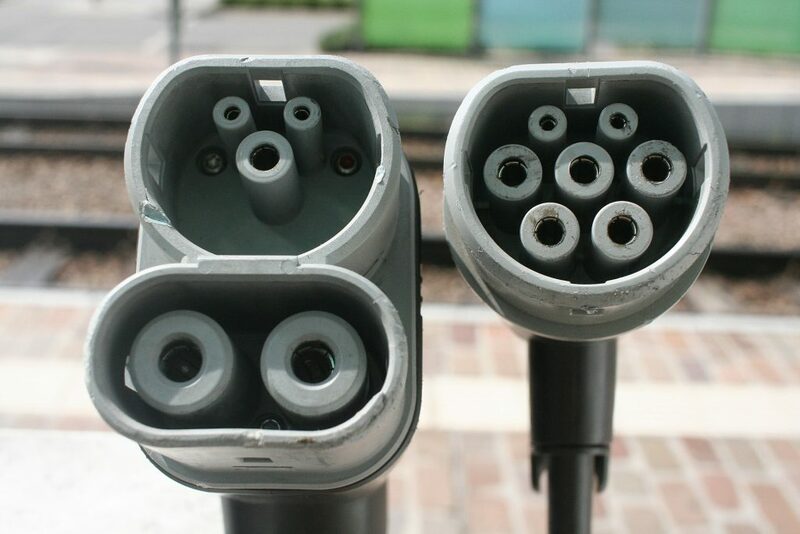 These two connectors are extensions of the Type 1 and Type 2 connectors, with two additional direct current (DC) contacts to allow high-power DC fast charging. As usual the EV industry is making charging systems and standards as clear as mud. 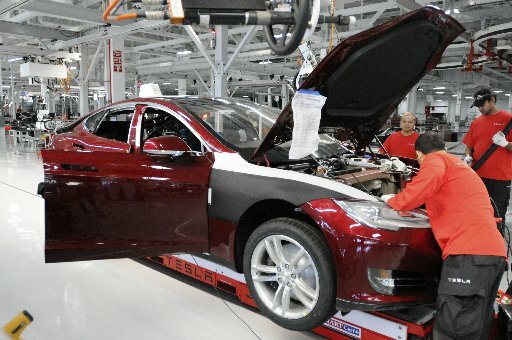 The EC is trying to impose standards for manufactures and charging stations while the industry, especially Tesla is pushing high-speed charging as a proprietary and unique selling points. 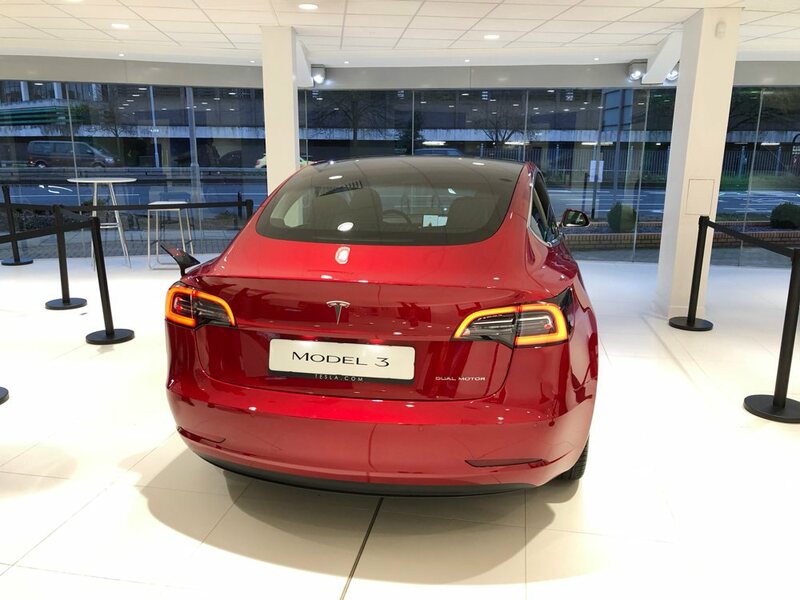 Recent communication from Tesla UK announcing the arrival of the long-awaited Model 3. 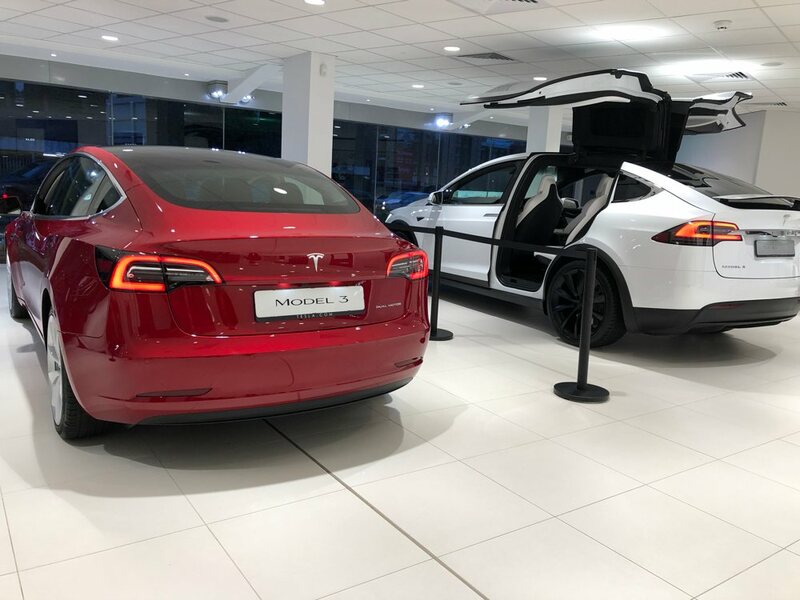 Join us at selected Tesla locations across the UK to meet Model 3 on display. 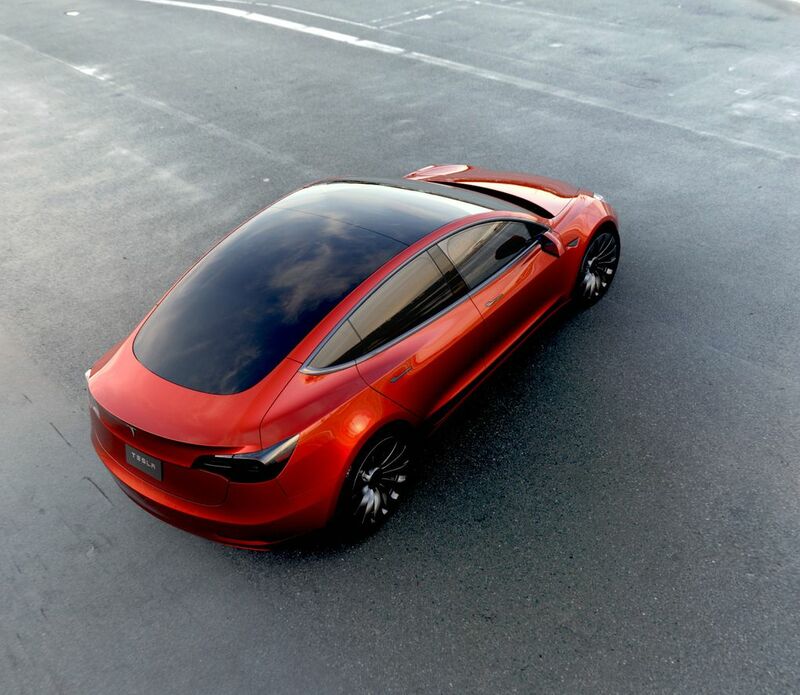 Be among the first to sit inside Model 3 and experience the expansive glass roof, premium interior and 15-inch touchscreen display. No indication of order or delivery dates and no mention of Right Hand drive Model 3s. 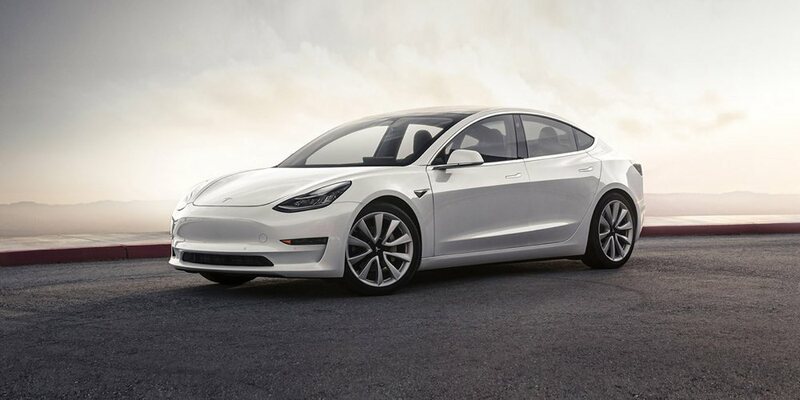 Total Model 3 production for the three months: 28,578 units. 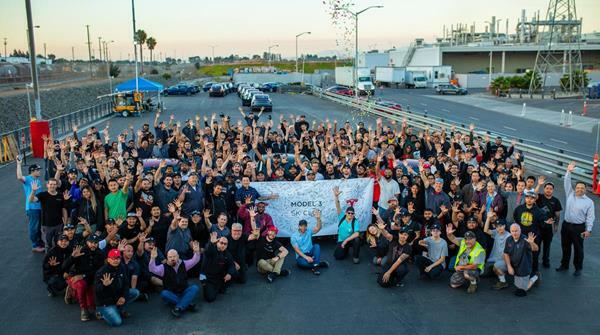 Total Model 3 production last week: 5,031 units. Tesla’s Q2 2018 production totalled 53,339 vehicles, a 55% increase from Q1, making it the most productive quarter in the company’s history. 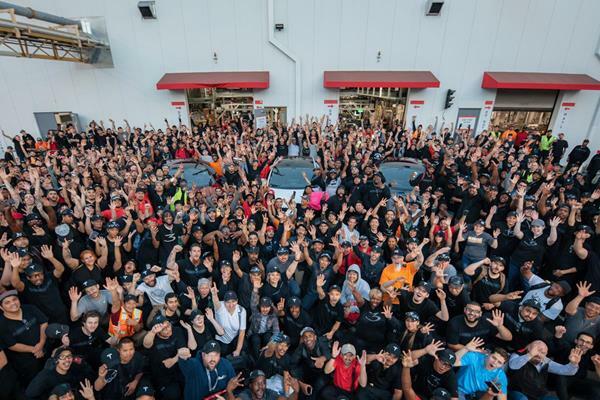 Model 3 production, which reached a total of 28,578 units, also exceeded the combined Model S and X production of 24,761 vehicles during Q2 2018. Q2 deliveries totalled 40,740 vehicles, of which 18,440 were Model 3, 10,930 were Model S, and 11,370 were Model X. As noted by Tesla, both orders and deliveries for the Model S and X were higher in Q2 than a year ago. Tesla also expects its overall target for 100,000 Model S and Model X deliveries in 2018 to be unchanged. Tesla managed to produce almost three times the number of Model 3 in Q2 than it did in Q1 2018. 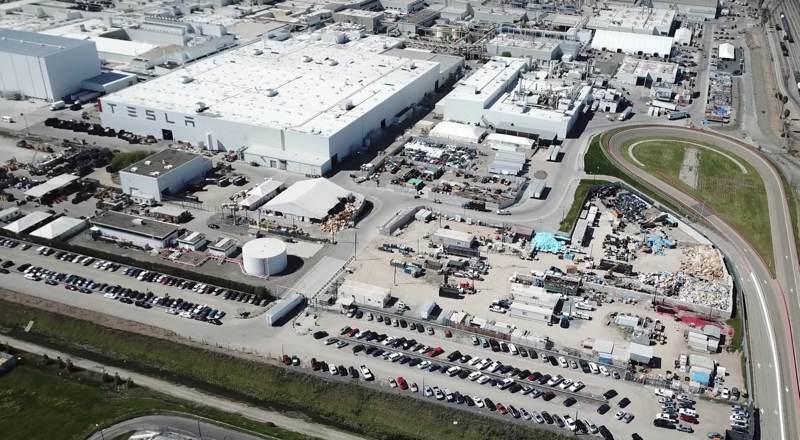 According to the company’s vehicle production and deliveries report, the GA3 line within the Fremont factory is expected to have the capability to hit a production rate of 5,000 Model 3 per week on its own. Augmented with GA4, the Model 3’s newest assembly line set up in the tent or massive sprung structure on the grounds of the Fremont factory, however, Tesla noted that it was able to hit its production target for the compact electric car faster. With the 5,000/week mark attained, Tesla is now looking to increase its production capacity for the Model 3 even further. According to the company, it expects to increase its manufacturing rate to 6,000 Model 3 per week by late next month. Tesla also reaffirms its guidance for positive GAAP net income and cash flow in the upcoming third and fourth quarter. Tesla Model 3 AWD versions to hit the street soon? Here in the UK we have plenty of 4 by 4s on the road. From Range Rovers to smaller Audi and customers love them. When can we expect an AWD Tesla Model 3? All-wheel-drive is a useful feature to have in wet, cold and snowy climates. – Like the UK. In general, it’s kind of overkill in regions with a moderate climate and yet, Tesla made it standard for all its Model S and Model X vehicles. Tesla achieves all-wheel-drive through having two electric motors, one on each axle, which enables them to have a greater control on the power output per wheel and optimize each motor for different uses. Ultimately, it can result in a greater range with the same energy capacity thanks to a better efficiency, like it did when it was introduced to Model S. Of course, it also results in a greater power output for quicker acceleration. The same thing is expected to happen with Model 3. It confirms that like Model S, the Model 3’s front motor is much smaller and therefore, it’s likely going to have a lower power output. Tesla says that the dual motor all-wheel-drive Model 3 will be available starting in “Spring 2018”. We also have reports that Tesla are testing 4 Wheel Drive options on a select test fleet. How do we know? From the VINs. The Model 3 VINs are now in the 8,000s, but they are also telling us another interesting thing. None had been discovered until now. We now know that 19 Model 3 vehicles with dual motor were registered by Tesla with NHTSA in the latest batch of new VINS recorded Jan 20th. Spring is rather general phrase and Tesla have not been known to stick to schedules. It makes sense since Tesla has been going for higher margin vehicles first with the Long Range battery pack and the dual motor option would be the next logical step in keeping the price high while volume is constrained strategy. 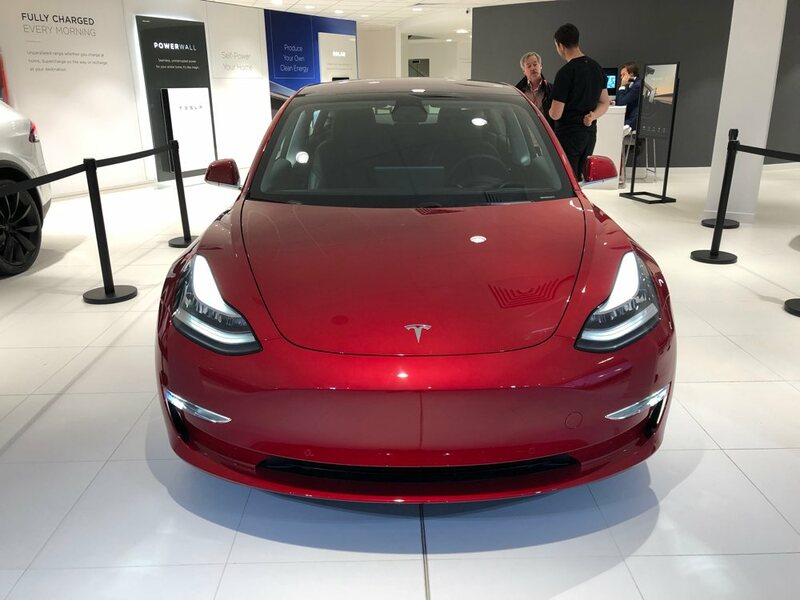 It has been one week since the Tesla Model 3 was delivered to the first 30 customers. This is what we have learnt from the launch, press comments and Tesla’s Q2 earning call. Safety is key: The pitch last week started with a comparison with Volvo who are judged to make super safe cars. The Model 3 will be safe. All Teslas have the hardware ability for full Autopilot. Elon Musk said that all Tesla Model 3s will have Autopilot hardware as standard – and all the safety features that come with it. Sure, you may not get full Level 5 auto drive yet, but you will get things such as autonomous emergency braking (AEB), lane keeping and automatic preventative steering (Autosteer) – which is seriously impressive at this price. And because the Model 3 comes with all the sensors and lasers you need for Autopilot as standard, you can always get the matching software at a later date. It’ll probably cost you around £2,600, but having the option to upgrade your entry-level Tesla is a real bonus. Single screen interior. All Teslas are known for their futuristic interiors as much as their innovative propulsion, and it’s great to see the Model 3 continue or even better the trend. The screen inside the Model 3 doesn’t seem to be as big, and it’s in a landscape position – but that’s because it’s taking the place of the car’s dials. That’s right, there’s nothing in front of the steering wheel. The Model 3 doesn’t even have a speedometer. Instead, you’ll find the speed on the top left of the touchscreen (on a left-hand drive car, of course). The S curve. Musk explained a number of times that production will follow the exponential S curve routine. July 30 cars. August 100 cars and September 1,500 cars. By year-end production will ramp to 5,000 per week or a rate of 40,000 / month. By end of 2018 that will double again to 10,000 week. Musk called this production hell. You can see why. Price: The base price may be $35,000 but the initial cars will be priced way above this level. The base car will be available in November. Until then you will only be offered the longer range car for $44,000 with the a small number of options. The key option being the Luxury Pack for $5,000. You can also add larger wheels and a number of paint options. For now the $35K car will cost you $48K. You can see the logic. It makes manufacturing much easier with less configurations and boosts average selling price in order to drive revenue. One big question is what’s it like inside. Now we know. A single screen – landscape and not as large as the Model S’s display. Most reports seem very positive. Straight lines never really go out of style, which is where the model 3’s unique dashboard comes into play. Instrument clusters, buttons, and air conditioning vents are vulnerable to design changes. By removing the instrument cluster, placing all the controls on the steering wheel and a central touchscreen, and replacing vents with a single one running the entire length of the dash, Tesla is removing those vulnerabilities. International left hand drive sales will commence in mid 2018 and right hand drive only in 2019. We will have a long wait in the UK. All wheel drive will boost performance and range will not be available for some time, most likely Spring 2018. The wait list has grown to over 500,000. That’s given Tesla $500M to play with and represents a sales value of over $20B. Elon confirmed a number have cancelled but the new number is growing at 1,800 per day. More news on charging and real world range as we discover the facts. We haven’t seen a new picture of the Tesla Gigafactory 1 in Nevada in about two months and during that time, they have been busy preparing for the production of Tesla Model 3 battery packs and drive units. Now a new aerial shot of the giant battery factory shows lots of activity as they are starting production. Tesla started the year with about 1,000 employees at Gigafactory 1, but the company also said that it planned to hire about 1,000 more during the first half of the year alone. On top of that, Tesla’s battery cell manufacturing partner, Panasonic, is holding hiring event all year and it is seeking to hire 2,000 workers by the end of 2017. Also, other suppliers are under Tesla’s roof and plan to employ hundreds more at the location, like a German battery can maker, H&T Battery Components, who expect to employ over 100 employees at the Gigafactory. Ron Hutchings recently flew over the plant and sent Electrek a great shot of the factory confirming that the workforce has definitely grown exponentially during the first half of the year: Image reproduced here. There are about 250 cars per section and with 12 sections, it brings the total to about 3,000 vehicles at the plant. Of course, some belongs to construction workers since the factory is still growing. The current structure has a 1.9 million square-foot footprint. Including several levels, the factory currently is about 4.9 million square feet of operational space. This represents only ~30 percent of the total finished Gigafactory. Panasonic started battery cells production at the factory earlier this year and Tesla has been using those cells to produce Powerpacks and Powerwalls at the factory. Last month, Tesla CTO JB Straubel confirmed that they started Model 3 battery cell production at Gigafactory 1. Now they need to ramp up production to support the Model 3 program and they aim to be at 35 GWh of capacity next year. 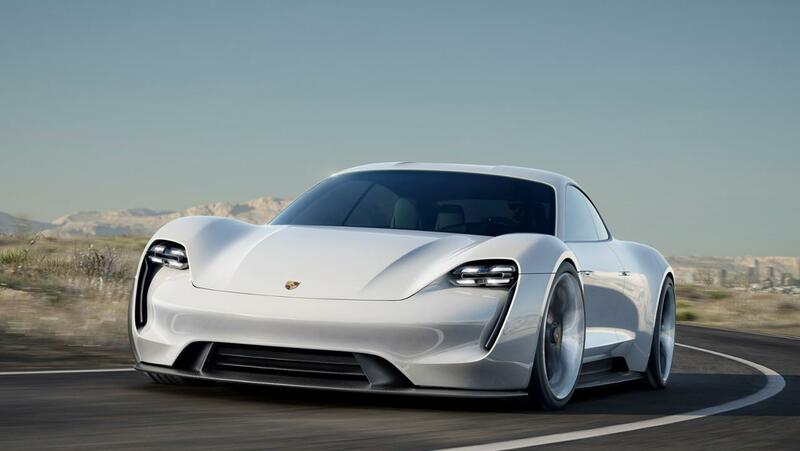 They produce the battery cells, which they install in modules and then packs, to ship to Fremont, along with drive units produced at the Gigafactory, in order to be assembled. Earlier this week, CEO Elon Musk said that he expects the first production Model 3 to roll off the line as soon as today. The ramp up is expected to be relatively slow for the first few months, but Musk still aims for ~5,000 cars per week by the end of the year. 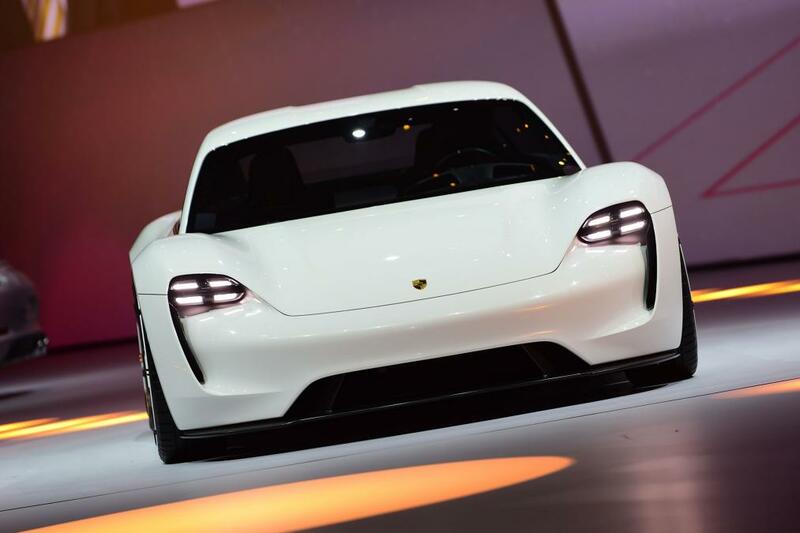 In a recent conference call, Straubel said that everything is in place to support that at Gigafactory 1 and he doesn’t expect the plant to be a bottleneck to achieve that goal. Tesla delivered slightly more than 22,000 electric cars during the second quarter of the year, split between roughly 12,000 Model S and about 10,000 Model X crossover utility vehicles. That total is more than 50 percent higher than the comparable April-June number for 2016, but down from the 25,000 cars it delivered in the first quarter of this year. Total electric-car deliveries for the first half of this year came to 47,100, just above guidance minimum of 47,000 to 50,000 vehicles. Q2 production totaled 25,708 vehicles, bringing first half 2017 production to 51,126. Tesla also noted that they added a sufficient number of Model X cars to the test drive and display fleet because stores had been operating with far short of what was needed and, in some cases, none at all. There appears to be substantial untapped sales potential for Model X. It should also be noted that production quality and field reliability of the Model X, for which Tesla has been fairly criticized, have improved dramatically. It is now rare for a newly produced Model X to have initial quality problems. The first certified production Model 3 that meets all regulatory requirements will be completed this week, with a handover of ~30 customer cars at the Fremont factory on July 28. More details on the launch party to follow soon. 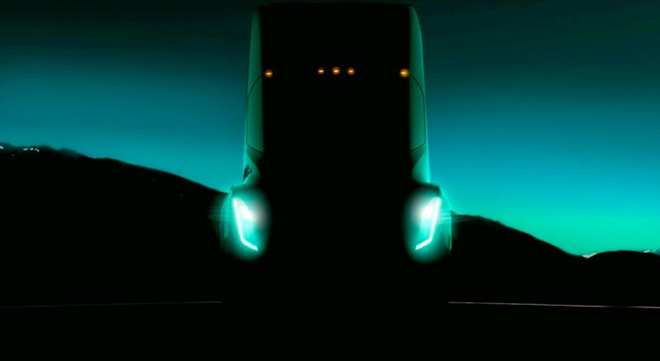 The delivery count should be viewed as slightly conservative, as Tesla only count a car as delivered when is transferred to the customer and all paperwork is correct. This is unlike most other car manufactures who regard shipping a car to a dealer, as compared to the end-user as a delivery. Tesla delivered 76,230 cars last year, though it built just under 84,000.